Felt Balls in Candy Pink are handmade from premium quality, 100% New Zealand wool. All our Felt Balls; are made under fair trade and eco friendly. 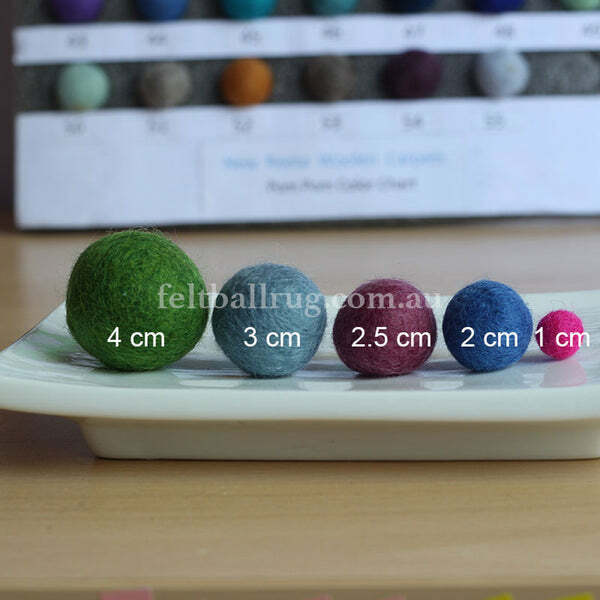 These wool felt balls can be used in many ways to create your own diy crafts. Whether it's creating felt ball garlands, felt ball mobiles or felt ball trivets, these Felt Balls are perfect items to have in your collection. Since these Felt Balls are handmade, there may be a light variation in their sizes and color. Having said that, we try our best to ensure that all your white Felt Balls are as perfect as possible. Felt Ball Rug USA is a great place if you are thinking of designing your own felt ball mobile, felt ball garland and felt ball mobiles. There are 60 different felt ball colors that you can choose from to complete your felt balls diy project.